The concept of Arrow Corps started a couple of years ago. As the CLB Mission Team worked through a strategic planning process, we recognized two significant needs in our denomination: 1) We have many churches that are in plateau or decline and 2) we do not have any denomination-sponsored ministry opportunities designed especially for either young adults or for active retirees. Considering both needs at once, a picture began to emerge for addressing them. We recognized that most of our congregations in plateau or decline have been unable to make the changes that might enable them to experience greater health and growth. These necessary changes would not likely occur apart from “changing the DNA”—the culture of the church. But such a transformation would most likely require the local presence of a group of people who were modeling and incarnating the needed changes. That’s when the idea “clicked” of a team of people joining into the life of the congregation. And what if this team was large enough to provide support and fellowship for the team members, while making an impact on the receiving congregation? And what if this team included older adults to provide mentorship and stability for the young adults? And what if this team were in place for a longer time—two years—to insure the needed changes would be effectively integrated into the congregation? These questions shaped the now-developing ministry called Arrow Corps. Let’s consider the name of this developing ministry first. The dictionary defines the word corps as “a group of persons associated or acting together,” such as the diplomatic corps, the press corps, or the American Peace Corps. The word corps captures the essence of the teams that we will be sending out, especially the “together” part. In this concept of teams primarily composed of young adults, we noted similarities between today’s generation of young adults and that generation who first joined the Peace Corps. Both generations are activist; both desire to make a difference and change the world; both are willing to act, not just talk. When the Peace Corps began, thousands upon thousands of young adults dedicated two years of their lives to spread goodwill around the world. We’re now asking your generation to do the same—only we want you to dedicate yourself to spreading the Gospel of Jesus Christ by entering churches and communities as missionaries sent to make disciples. It’s a bit like the CLB version of the Peace Corps, only the peace that Arrow Corps will be spreading is eternal. The Arrow part of the name? It communicates movement, direction and purpose—hitting the target. These teams will be purposeful with a clear direction. Making disciples is the process of building relationships with people who are not Christians to help them understand their need of a Savior so that they will receive Christ and then begin to live and grow in him. To accomplish this, the teams will engage in both the congregation and the local community. The bar for team members is set very high. You will be asked to support yourself with a part-time job and to secure your own lodging, while you engage in the community and make disciples, and work with church members to make disciples. After an initial training period, each team will receive continuing training and support throughout their ministry time. To serve in this way, Arrow Corps clearly has to be a definite calling from the Lord. Churches requesting and receiving Arrow Corps teams will be thoroughly vetted. When churches plateau or decline, it is often due to losing touch with their local community and becoming inward-focused. So churches hosting Arrow Corps teams will need to embrace change, learn how to reach out to their communities, and enter into disciple-making relationships with people outside of their congregation. They will not be passive recipients of Arrow Corps teams, but will be called to personal engagement in evangelism, outreach and disciple-making—through the encouragement and coaching of Arrow Corps team members. We see this developing ministry as essential to the health of churches in plateau or decline, and as such, to the overall health of our denomination. 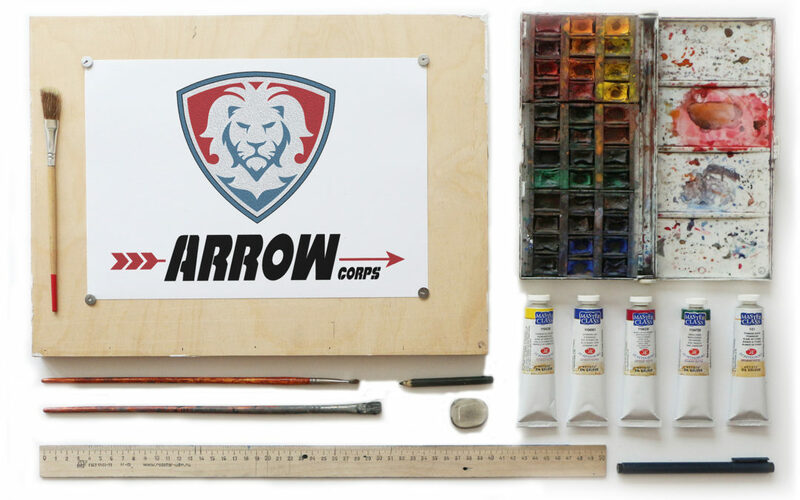 Arrow Corps is in the initial stages of development, with systems and structure being built as you read this. We’re dependent on the Lord to provide all that is needed, and we are asking for your help. Please pray that the Lord will raise up team members—young and old. Please consider this calling for yourself, or for others you believe could participate. May God be glorified and may his kingdom be enlarged as the Arrow Corps teams are sent out to engage with our churches in making new disciples of Jesus Christ. Stan Olsen is the Central Regional Pastor for the Church of the Lutheran Brethren.